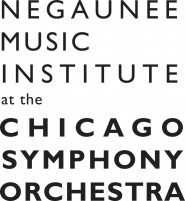 As part the CSOA’s Initiative for a More Peaceful Chicago, on Sunday, March 18, the Negaunee Music Institute at the CSO presented a concert of thirteen original songs written by parents of Purpose Over Pain at St. Sabina Church. The parents, each of whom live in Chicago and have lost a child to gun violence, collaborated with musicians from Irene Taylor Trust, composer Josh Fink, musicians of the Civic Orchestra, and singers Sarah Ponder and Takesha Meshé Kizart to create songs of love and peace in memory of their children. Lift up your voice and sing! Together we can help to create a more peaceful Chicago.